Chipotle just made your strict fad diet a little easier to follow. It’s always been easy to customize your Chipotle order, but the burrito peddlers launched a new line of menu items on Wednesday that cater specifically to some of the most popular diet trends, like Paleo, Keto, and Whole30. For the nearly 45 million people who diet each year, this is a major game changer. 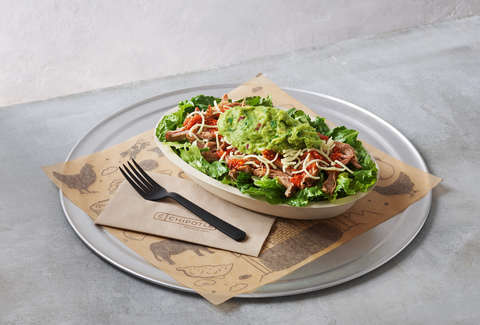 The new additions to Chipotle’s menu include a Paleo Salad Bowl, a Keto Salad Bowl, a Whole30 Salad Bowl, and a Double Protein Bowl. Each bowl is packed with fresh ingredients based on the parameters of each of their namesake diets, so you don’t have to worry about going hungry when you forget your diet-compliant lunch or falling out of your routine. The Paleo Bowl features romaine lettuce, barbacoa, fajita veggies, green salsa, and guacamole. Inside the Keto Bowl, you’ll find romaine lettuce, carnitas, red salsa, cheese, and guacamole. The Whole30 Bowl is filled with romaine lettuce, carnitas, fajita veggies, tomato salsa, and guacamole. Lastly, the Double Protein Bowl features white rice, black beans, full portions of chicken and steak, romaine lettuce, and sour cream. While you may be wary of trusting Chipotle with perfecting your strict diet, there’s no need. The chain said experts were called in to create the balanced bowls that fit into each plan. “We are looking for ways to make the Whole30 easier and more accessible, and travel has always been a pain point. 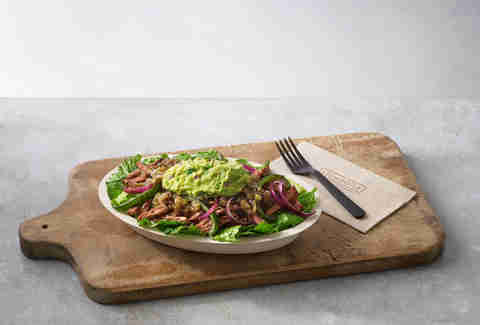 It’s not always easy to find compliant options on the road, so I was thrilled to work with Chipotle to create a tasty, satisfying salad bowl that meets our program guidelines,” Whole30 co-Founder Melissa Hartwig Urban said. 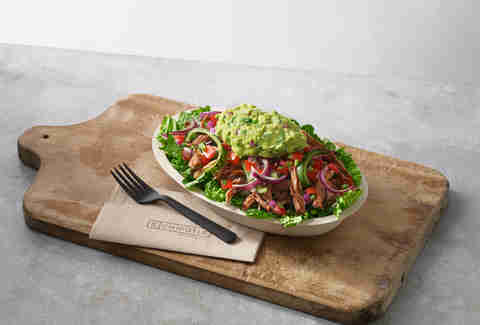 Each salad bowl is available exclusively online or through Chipotle’s mobile app. And better yet, Chipotle’s offering free delivery until January 7. You might be able to pull off this diet thing after all.